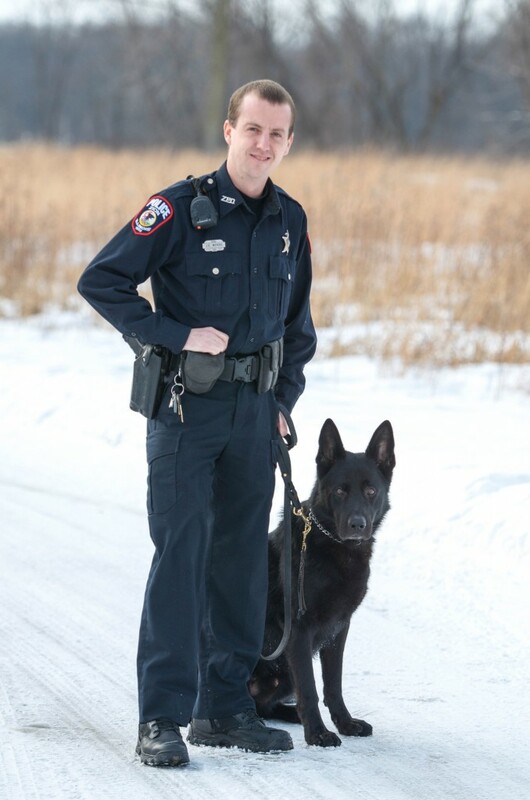 The Zion Police Department takes great pride in its Canine Unit and their accomplishments. The Zion Police Department’s canine unit consists of a single handler and canine. Both the handler and canine attended Tops Kennel in Grayslake, Illinois for their basic training. The Canine Unit trains on a consistent basis to keep the canine/handler team sharp and proficient at their skills and will continue to train at Tops for the life of the canine. The State of Illinois sets strict guidelines and performance standards for canine teams. Our canine team certifies each year within the guidelines set forth by the Illinois Law Enforcement Training and Standards Board. Our Canine Unit has been funded almost entirely by a private foundation and seized narcotics money. To be a visual deterrent for crime. These capabilities benefit the community and the department by making use of the canine’s speed, agility, and sense of detection to better serve common goals. The canine team can cover an area in less time then a team of officers. The Zion Police Department’s canine is also available for public demonstrations through a written request to the Chief’s office. These presentations focus on the job of a working Police Canine and its handler as a way of creating a better understanding of the Canine Unit with the community. Demonstrations provide the community with an entertaining way to learn more about the unit and how the team works. As a reminder, our canine is not a passive dog and should not be touched by anyone but the handler or approached without permission. However, the handler loves to answer any questions and is happy to speak to anyone about his canine partner, Deutsch.